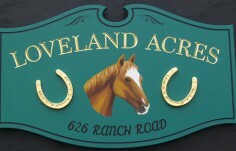 Children, ranchers and racing enthusiasts all love the strength and beauty that horses represent, what better way to celebrate the animal than with a custom sign to hang at your ranch entry or on the wall of the barn. 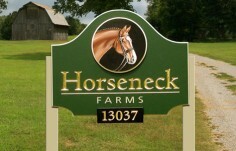 If you know someone who loves horses, a horse sign from Danthonia might make the perfect gift. 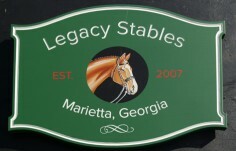 Customized horse signs show that you have put thought into designing something personal. 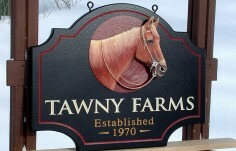 Create a tribute to your favorite animal with a custom horse sign. 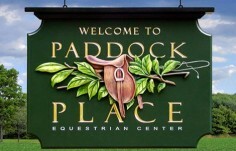 Experiment with different styles, layouts and text on our sign-designer website to create your very own design. 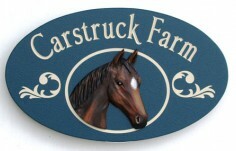 Start from scratch or find a horse sign that you like on our gallery then customize it. 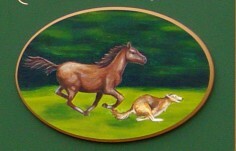 If you do not find the right horse artwork in our standard selection - you can upload custom art . 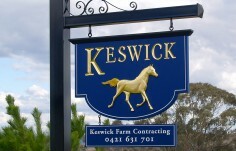 If you need us to help with a custom design we are glad to help. 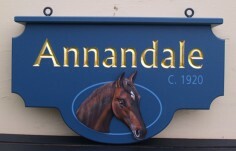 Your Danthonia horse sign can be hung indoors or out. 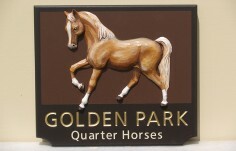 Our HDU substrate carves, paints, and gilds like wood. 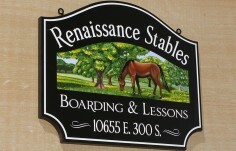 A Danthonia sign looks and feels just like a painted wood sign especially if you choose a brush texture finish. 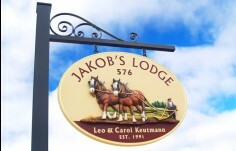 Weathering is superior to wood in exterior applications as HDU will not crack, split, swell or rot in the elements. 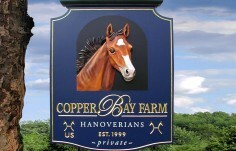 Thank you for your prompt and personal service. 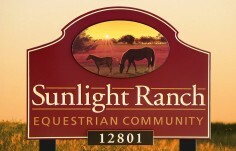 Your website is outstanding. 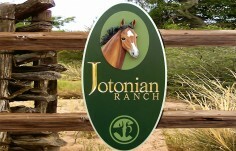 I was able to utilize the tools in the website to create the perfect sign for our Icelandic horse. 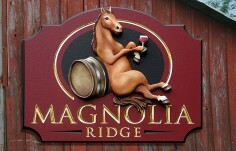 We have received many compliments on the sign so expect additional orders.